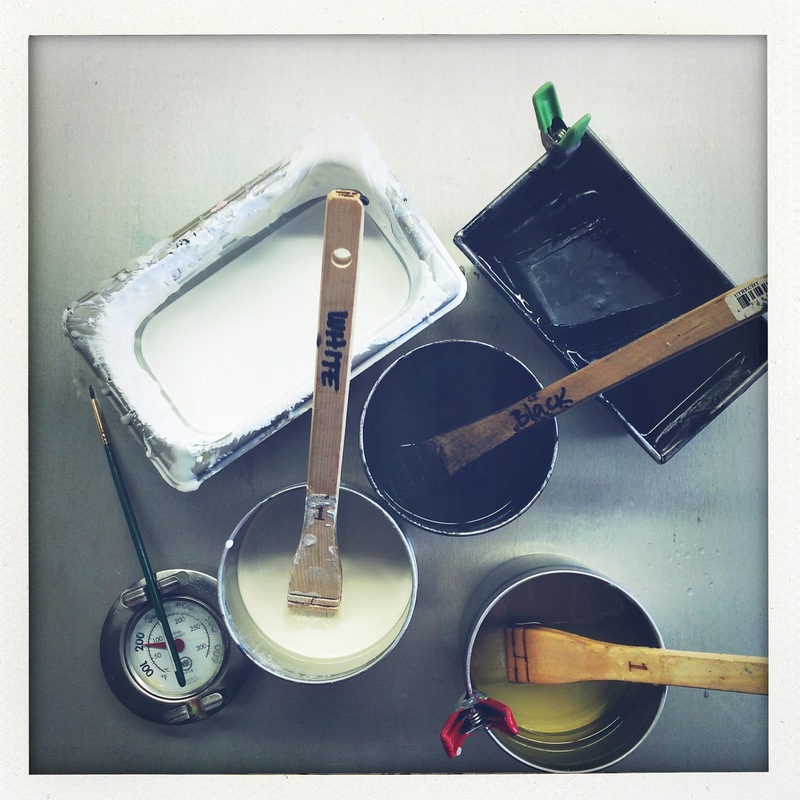 Tools and materials are my partners in creativity. It’s sometimes easy to forget how important they are- how, often, it is a newfound tool or a deviant accidental mark that sets me down a new path of image-making. Some of these tools have been with me so long, but I’ll try to recall how I collected each one, and what I use it for. Left to right. Ace blade. Newest tool here. Used for paper cutting and stencil cutting. Tiny screwdriver. Lifted from my husband’s toolbox. Used for intarsia and mark making. Ice pick. I’ve had this forever and ever. Used for piercing and intarsia mark making. Metal brush. Hardware store. Makes interesting marks when heated. Sewing snips. A gift from my local embroidery shop owner. Used for detail trimming of paper and thread. Drill bit. See thievery, above. Great for drilling through wax. Or wood. Sewing marker. Actually, don’t know what this is really called. Found in old sewing box in thrift store in Modesto, CA. Used for mark making. Metal eye dropper. Bought at Encaustic Conference in Massachusetts a few years ago. It’s great for filling in empty marks with hot wax for intarsia. What about you? 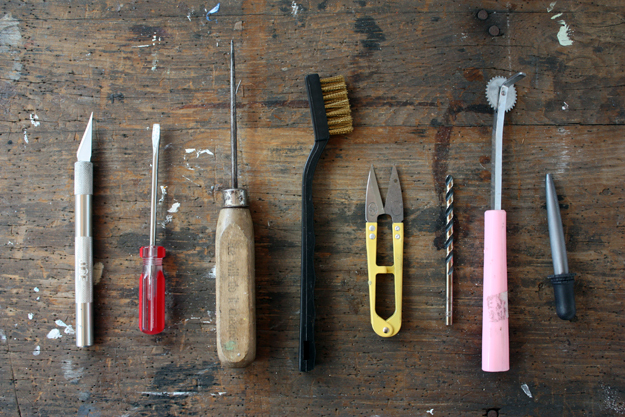 Do you have favorite or unusual tools that you use in your art practice? This entry was posted in Uncategorized on November 26, 2012 by LisaK. The trend these days is to use machine operated Doors.